Propane Autogas: clean, safe, powerful and made in the U.S.A.
More than 60% of alternative-fueled vehicles nationwide run on propane Autogas, including fleet trucks, forklifts, lawnmowers and farm tractors. 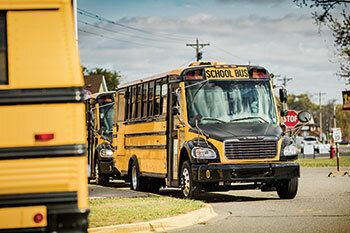 Additionally, New York is among the top ten states in the U.S. for the number of propane-fueled school buses—about 500 school buses in New York State are powered by this clean-burning fuel. Propane Autogas is the third most popular vehicle fuel, next to gasoline and diesel. With demand growing, many vehicle manufacturers now make bi-fuel (or dual-fuel) models that run equally well on either propane Autogas or gasoline, and all of the major commercial lawn mower manufactures now supply models that run on propane Autogas. Visit our website for Autogas consumers! *Data based on HIS Poll for new vehicle registrations database of Type C schoolbuses registered from January 2012 to June 2016; additional information from manufacturers and other public sources.